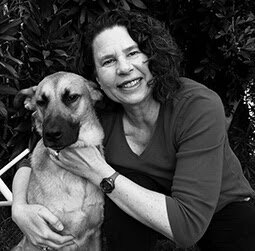 I'm playing along with the March, 2018 PTI Blog Hop Today. We have this beautiful photo to inspire us. I was inspired by the pink and yellow flowers, mostly tulips. I pulled out Tulip Time--I had completely forgotten about these stamps, and am so glad that I found these stamps again. I am also entering this card at The Flower Challenge #18: Anything Goes. Very pretty! Love your tulips. Beautiful card, Joyce! Perfect colors and love the embossed background! 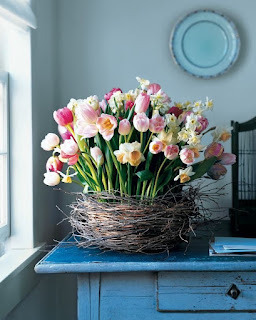 So beautiful...love your gorgeous tulips, so perfect for your Mother's Day card! 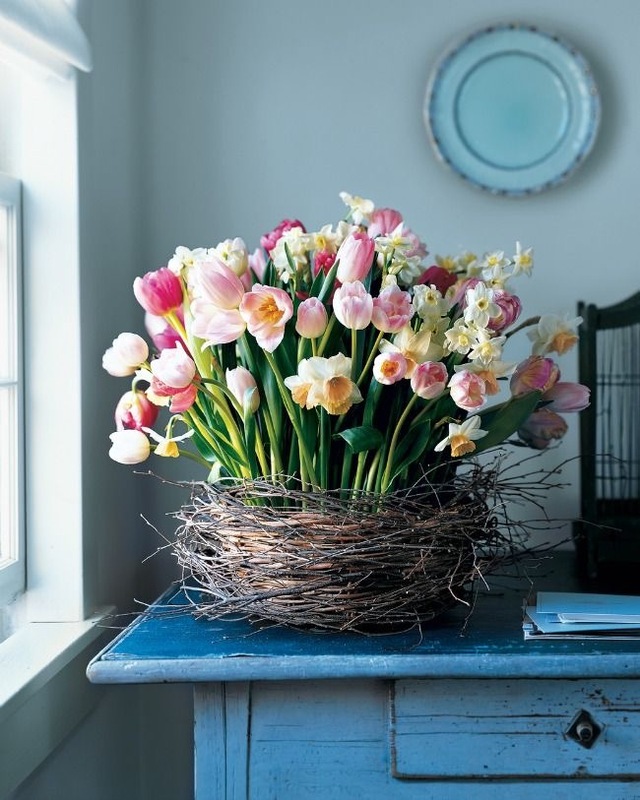 Such a beautiful and elegant bouquet of tulips! Love the texture in the background. Your tulips couldn't be more perfect! The embossing adds that something special to this gorgeous card. Great background texture! Lovely design! A beauty, Joyce! Love that bg emboss, and your tulips are gorgeous! Beautiful card. I love this stamp set. 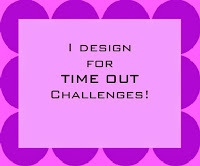 You have really made it shine with your design. Love your beautiful embossed background and those gorgeous tulips! Very nice the embossed background is perfect for the tulips. 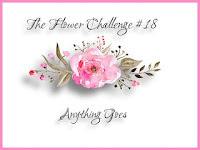 I love your textured background and pretty blooms! Wonderful take on the inspiration photo! Your tulips are just the thing for this challenge and the textured background really shows them off! Lovely tulips & such a great background, Joyce! 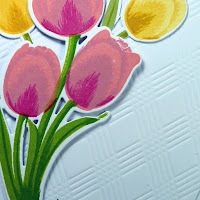 I'm so glad you found these tulip stamps too Joyce, your card is gorgeous! The stamped layers are just perfect. I like the embossed background you used too. Such a lovely spring card! THERE they are... those gorgeous Tulips! Just what I'd love for Mother's Day, Joyce - and such a beautiful embossed card. This is elegant and ever so lovely Joyce!! So pretty, Joyce, with your embossed background and those lovely tulips. 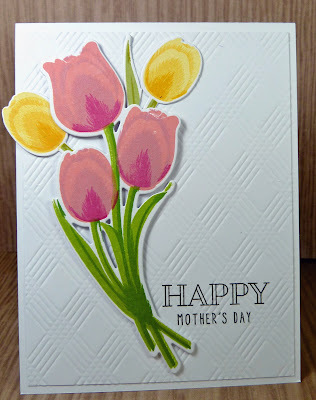 Joyce those tulips are just beautiful, love your embossed background and so lovely for Mother's Day! Joyce the tulips look so beautiful layered on top of that beautifully embossed white panel! Gorgeous card!